Panelists on the capital markets panel say that it is a good time to be a fixed-rate or floating-rate borrower and if you are a partnership that wants to hold long-term, it’s a great time. Deal Flow Drivers: Lending & Investing In Various Asset Types at panel here Monday afternoon at RealShare Apartments. 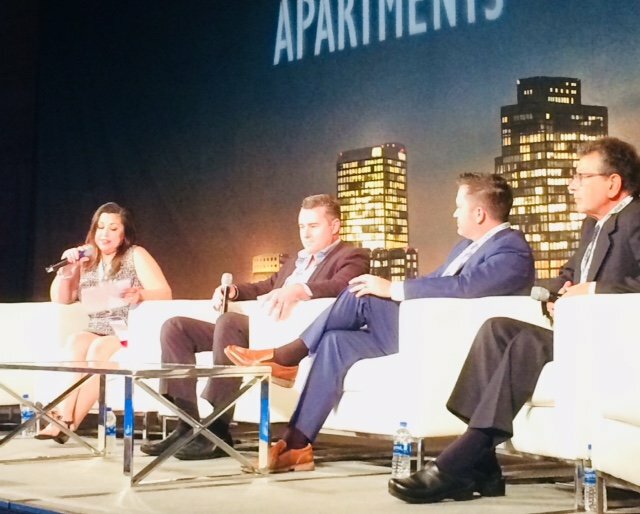 LOS ANGELES—“Multifamily remained a favorite asset type for lenders and investors in 2018 and we saw an increase in activity around some asset types like senior housing and mixed-use buildings but the opportunities continue to change.” So said panelists during the Deal Flow Drivers: Lending & Investing In Various Asset Types at panel here Monday afternoon at RealShare Apartments.